Does ANYONE who has thought about digital identity in the last five years NOT know about Identity Woman? I don't think so! 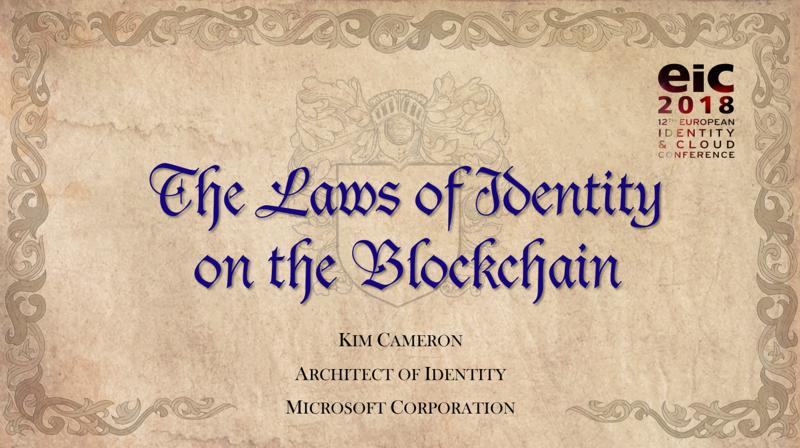 I personally know hundreds – I'll even say thousands – of influential people around the world (in Europe, Asia and North America, in big companies and tiny startups, in government, the Academic world and NGOs, in non-profit and for-profit ventures) who see Identity Woman as I do: the soul of a very broad and interactive technical community, a moral force for good and excellence, and a smart innovator. Besides that, did I say, a great lady and a superheroine? Identity Woman is a super-talented facilitator – who operates outside the box. She has thrown herself into the task of getting a whole world of self-directed people working on identity for companies big and small to understand each other – and even to learn from and motivate each other. So what would you think of someone who took it upon themselves to stop her from calling herself “Identity Woman”? Does the word “control freak” come to mind? How about “bully”. Or maybe “megalomaniac”? Or how about Google Plus – the supposedly cool and privacy friendly new social network. 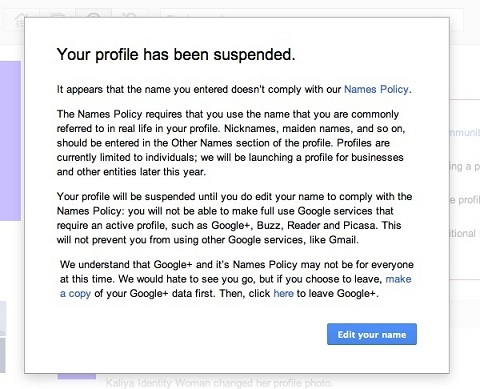 It turns out Google Plus is not cool enough to tolerate even a single “Identity Woman”, in spite of her overwhealmingly positive reputation and the fact that an exact search on her name returns 390,000 hits on Google's own search engine! This is not a good day. I'm sick and tired of seeing social network moguls pushing people around because we help them grow powerful. Enough already! Social networks are big because they are OUR networks. They need to be run in ways that respect the nature of a free society. This is going to become a social battleground. Go over to Identity Woman's site for the whole sad story. It teaches a lot about the need for a whole spectrum of identity requirements. Sure, there are times when people need to present “natural” identities that reflect what their parents called them. But in real life we don't necessarily do that in our informal interactions. We use nicknames and partial names and sometimes keep our names to ourselves. Social networks need to grasp these nuances. And those trying to limit our behaviors and squeeze our potential should just back off. Whatever happened to free markets – isn't supply and demand going to take care of that? Seriously, if that is an issue for people Google Plus will feel the backlash and cave in. Personally I'm more interested how they build on Google Profiles, which might develop into some kind of identity provider. Maybe once that's fully rolled out they'll allow display identities? People voicing their opinions about this policy of Google's are part of the market processes that hopefullly will indeed cause Google+ to change the policy. The free market isn't some exogenous entity. It's us buying what we want, and sometimes us asking for what we want. Seriously, I could not agree with you more. Connect.Me just posted our own show of support (and it doesn't even go into unidirectional identifiers and the Laws of Identity). 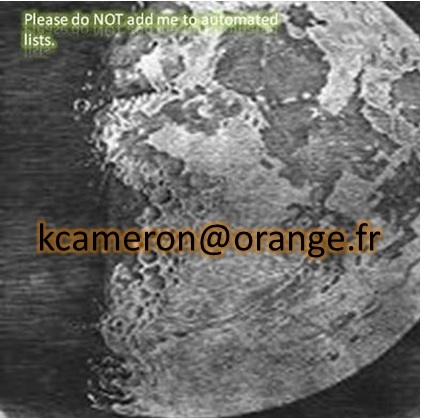 See http://blog.connect.me/real-names-are-not-real-trust. Let's make this new superheroine fly! Hello, love your site..please do visit my site sometimes and leave a comment. thanks.